Happy #FitFriday!! 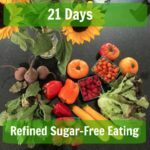 Every Friday I’m going to be sharing something fitness related, whether it be a step by step guide to a yoga pose, an ab workout or how to stay healthy while traveling! 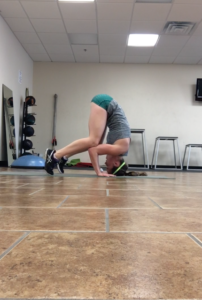 To start out our very first #FitFriday I am going to share 2 different ways to get into a headstand and then some variations once you have the headstand down! 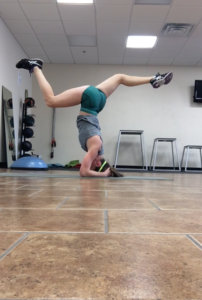 First up is what’s called a bound headstand. I have my fingers wrapped around my head. What’s important to remember here, for the safety of your neck, most of your weight should be in your shoulders and arms, and OFF your neck. 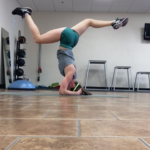 One of the ways to get into a headstand is to tuck your legs and slowly bring them up and straighten them out. I would say this is the easiest way. 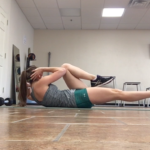 If you already have a strong core, you can try going from a pike position. And finally you can straddle up! 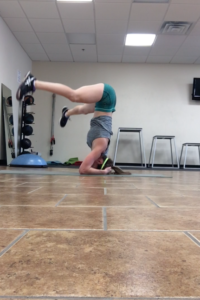 I have shown below a basic straight leg headstand, but if you continue scrolling to the end you’ll see stag split and eagle leg variations. Start with your arms wrapped around your neck. It’s important to ensure that your hips are stacked on top of your shoulders. Lift your feet off the ground and stay in a tucked position to ensure you have correct alignment. 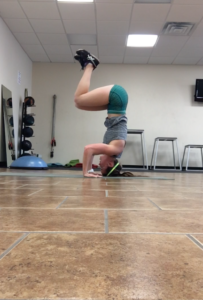 Slowly raise your legs up towards the sky and straighten out into a straight legged headstand. 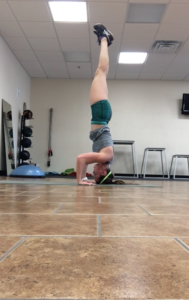 Another way to get into headstand is from table top. This is where your neck isn’t supported by your hands but you’re able to get my weight off your neck this way. With your hands flat against the ground you are able to rest your legs on the shelves your arms have created. 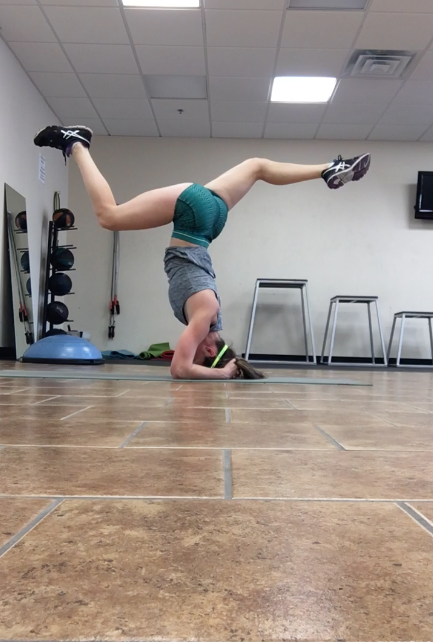 Again, you can tuck, pike or straddle up to handstand. 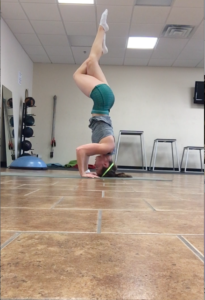 I think this technique is a little harder to balance, but I prefer this one as I can easily put more weight into my hands and off my neck. 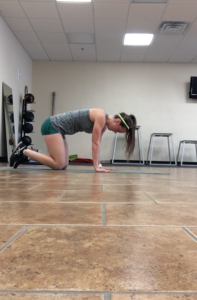 Start with your hands flat on the ground and your shoulders directly over your hands. Then bend your arms at the elbow at 90 degrees and place your knees on the shelves that your arms created. Now you can slowly lift your feet off the ground. 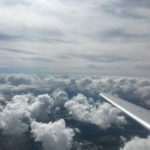 Very slowly, staying in a tuck position, raise your legs up off your elbows and towards the sky. Slowly raise your legs up even higher towards the sky. I find it easier to keep my legs bent to ensure I have stacked my hips over my shoulders. After you have stacked your hips over your shoulders, it’ll be easy to extend your legs straight up into the sky. And there you have it! I recommend doing a counter-balance pose at the end of practicing yoga, so the counter balance pose I’ve chosen today is child’s pose. This is a great grounding pose and you can relax those shoulders! 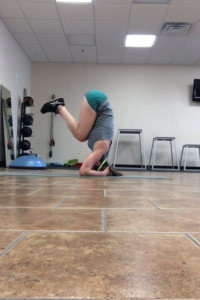 Instead of entering a headstand in a tucked position, you can also enter in a piked or straddle position. Here are some pictures to show those variations! 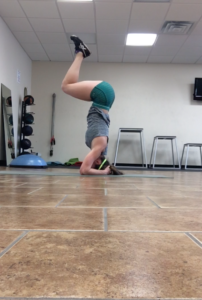 You can do these variations in either the bound headstand or in the bent arm headstand form. 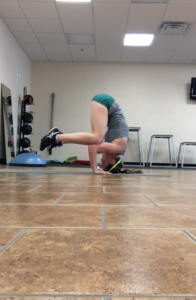 Therese are three different possible leg variations that you can do once you’re in your headstand. You can bend one leg (single stag), bend both legs (stag) , or wrap your leg around the other (eagle legs)! I hope you enjoyed the first segment of #FitFriday! 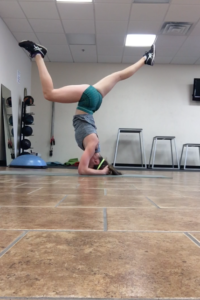 Let me know if you try out some headstands over the weekend, I would love to hear how it goes! I love the different leg variations. So elegant looking! 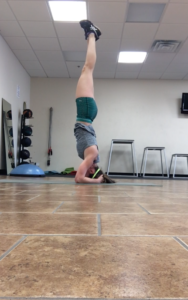 It’s been a very long time since I did a headstand you make it look so easy, but I know it is challenging. Thanks, Stacey! I’m sure with some practice you could get back to doing headstands!